Information The Seaside Heritage Center building is once again enjoying its place of prominence within the Town. Located at 2773 Main Street, it is open to the public during the months of June to September of each year. The history of the area developed in and around the sea, the island being adjacent to the richest fishing grounds left in Canada. The building cornerstone was laid in 1895 and was constructed by local boat builders. The building was commissioned by the Independent Order of Oddfellows and consists of three levels. 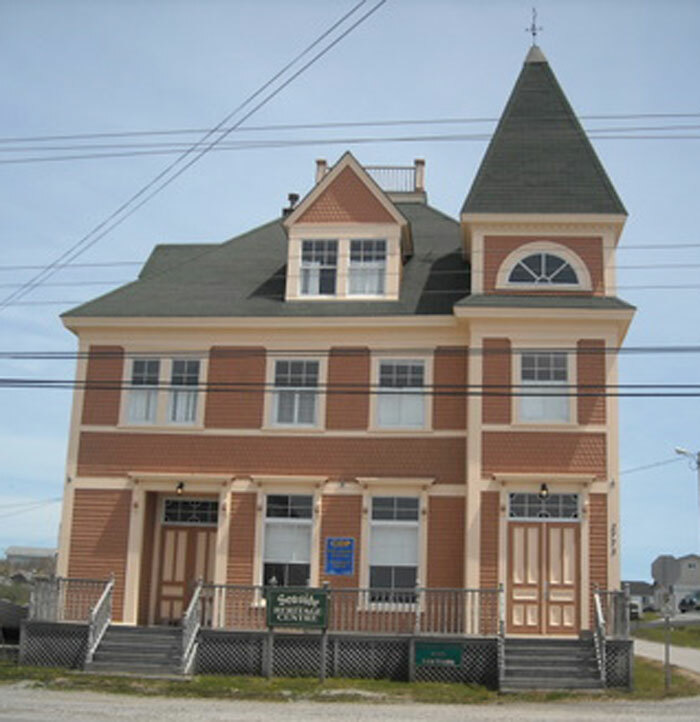 The building was purchased by the Town of Clark's Harbour, renovated, refurbished, and opened to the public in 2000. The first floor of the building interprets the lifestyle, history, and culture of the area. Cape Sable Island is renowned for the building of the Cape Sable Island boats. These boats are still considered the "work horse" of the fishing industry and continue to be bulit on the island. The Center has on exhibit one of the first models of this type of boat (circa 1930-1940s). It is built to half scale and was constructed by one of the best known boat builders of the area - Freebert Atkinson. The boat has many unique features and is definitely a "must see" when visiting the center. Other exhibits showcase the lighthouses and shipwrecks of the area. Each day, artisans, local storytellers, and crafts related to the fishing industry are demonstrated. Tour groups are welcome. Please call in advance to arrange times and costs.